Learn more about 'Reports', here. 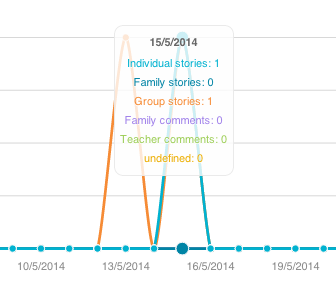 To create a report, click on your early learning service’s ‘Reports’ tab, or 'Reports' link under 'Menu'. 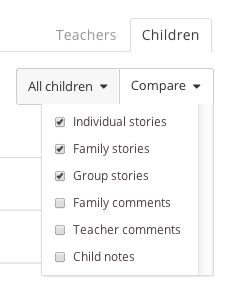 Click either the ‘Children activity’ or ‘Teachers activity’ tab to see children or teacher data. 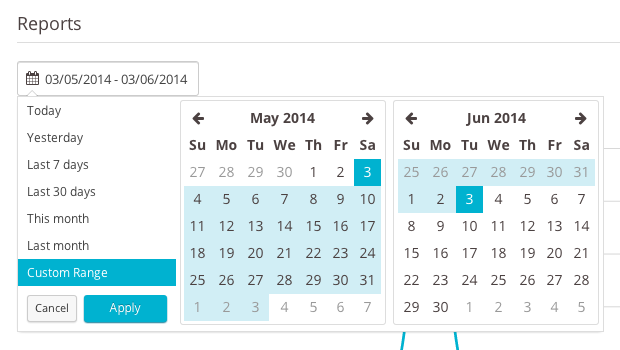 Select the time period you want to compare data for by clicking in the date field and selecting a date range. 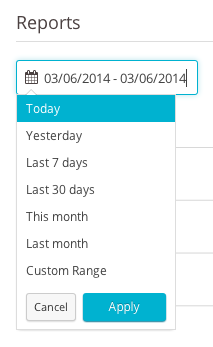 Click ‘Custom range’, select a starting date from the box on the left, and a finishing date from the box on the right. 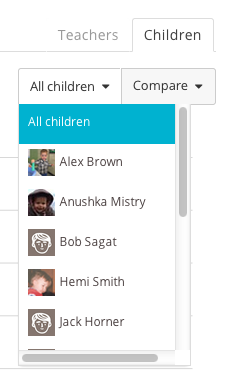 You can select ‘All teachers/All children’, or select a single teacher or child you want to see the data for. Click ‘Compare’ to see a list of all the different data types you can view. Select as many of these as you wish. The graph will now include the data you have selected. Hover over each day to see your daily report. Beneath the graph is a table that lets you compare the data, side-by-side. Click a column’s title to sort the table by that category. Click the small arrow to the right of each title to switch between ‘highest to lowest’, and ‘lowest to highest’.